Views all around! This beautiful home is located for convenience to downtown or the Beartooth mountains just minutes away. In the evenings, you can enjoy a nice warm soak in the hot tub. 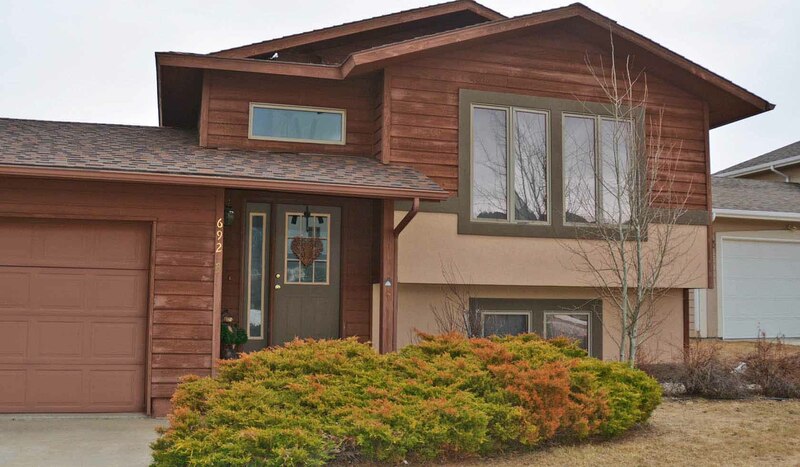 Located right near the golf course and easy travel to the ski mountain, perfect for a family! A 3 mile walking trail is just around the bend. There are two bedrooms located downstairs one has a queen sized bed the other has a bunk with a twin on top and a double on the bottom. There is a full bath bath downstairs and a half bath upstairs.